Includes a double-sided game board. One side will show a map of the United Kingdom, including Great Britain and Ireland, set in the 19th Century, at the dawn of the railroad revolution. 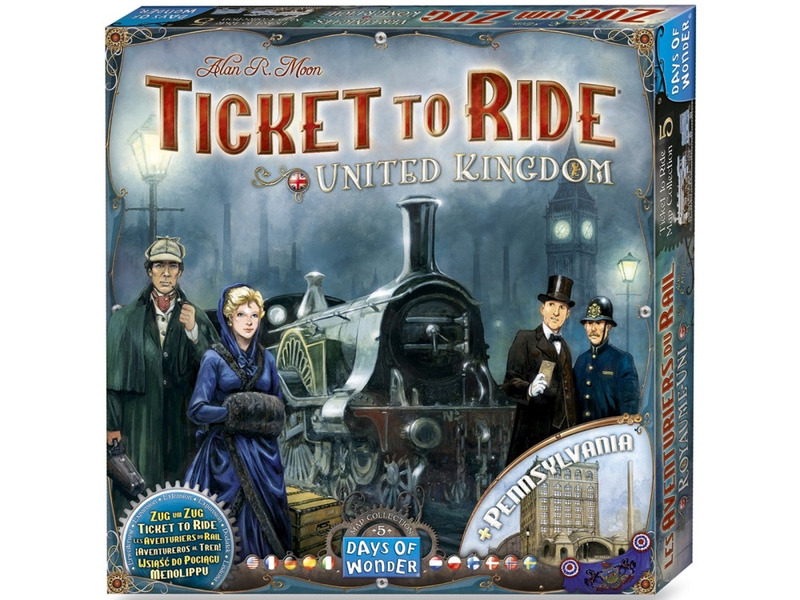 To play on this map, a completely new set of train cards are also included. Other side of the game board shows a map of Pennsylvania.